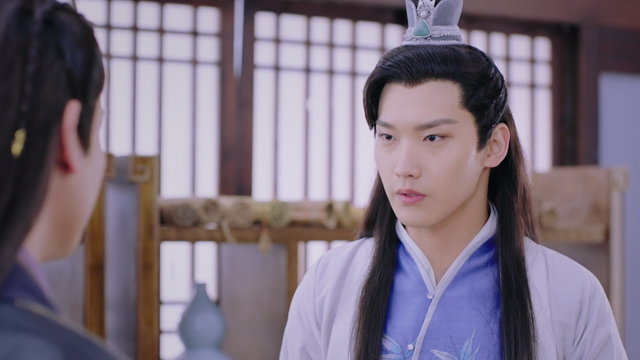 The Eternal Love 双世宠妃 stars Liang Jie as Qu Tan'er and Xing Zhao Lin as Eighth Prince Mo Lian Cheng. The drama, which is based off of a novel titled Hilarious Pampered Consort: Lord I Will Wait for Your Divorce by Fan Que, has been making its rounds on the web. It's only quite recently that this drama has been picked up by official English drama streaming sites (link to viki). It's received quite a good reception online by the masses prior to that and based off of what's been set up in Episode 1, it's looking like the masses aren't too off about that. Episode 1 begins with a reference to Albert Einstein's theory about gravitational forces in space that can change and bend the fabric of space and alter time. 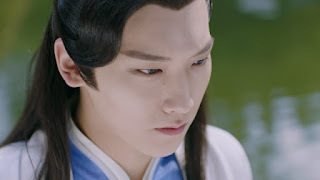 A mysterious force from a mystical land similar in theory is precisely what is behind the changes the country of Dong Yue and the female lead, Qu Tan'er (Liang Jie), are experiencing. Somehow the changes are also related to a suicide which Qu Tan'er attempted to commit. Qu Tan'er has never been the same after the attempted suicide. She appears to be from a different time (specifically, modern times) as the first scene sees her referring to herself as a professional (later in the episode reveals she was a real estate agent before coming here), asking for things like a better made toothbrush which people of that time have never seen and being fast on high heels. Qu Tan'er is supposed to marry the Eighth Prince. Apparently, she's yet to see him as she envisions him to be an old and ugly man. 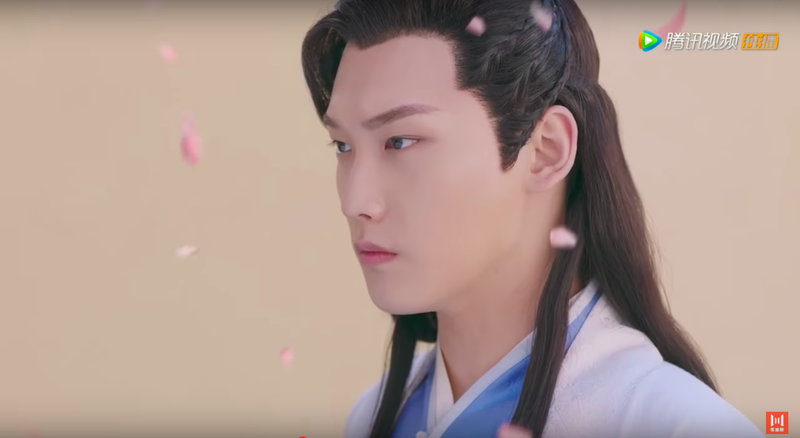 Eighth Prince Mo Lian Cheng (Xing Zhao Lin) is definitely neither old nor ugly. Very much the opposite. He also seems to possess hidden martial arts skills which he allows no one to ever see. A surprise attack to obtain the Royal Order, a gold imperial pendant, sees Mo Lian Cheng swiftly take care of the one daring attacker who made it past Yu Hao (Hu Chun Yong). One flick of a hand sends round chess pieces turned bullets through his attacker's head. Consequences for seeing his powers, immediate disposal. 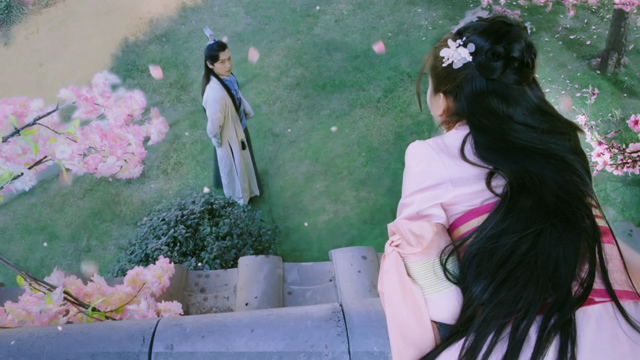 The meeting between Qu Tan'er and Mo Lian Cheng follows after he happens to pass by and see Qu Tan'er (or, as she likes to call herself, Xiao Tan) attempting to make her escape by scaling a high wall out of her home. She is left precariously hanging over the top of the wall and unable to get down. 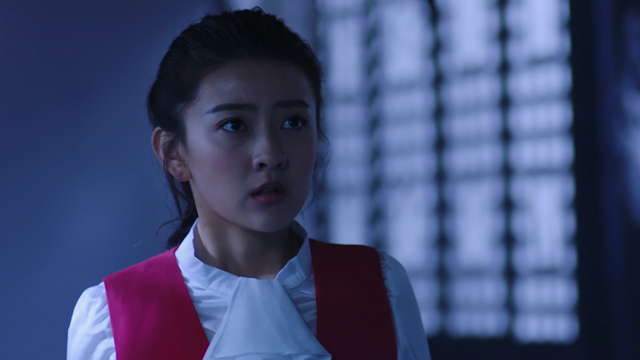 She seeks Mo Lian Cheng's help in catching her, but she doesn't get it. His conscience won't let him because men and women should keep a distance between them. He lets her fall to the ground and the bold, wild personality which we have so far witnessed is replaced by a gentle, soft, reserved one upon her waking after losing consciousness following the fall. Qu Tan'er is revealed as a daughter of a concubine during a meeting to briefly discuss the arranged marriage between her and Mo Lian Cheng. During this brief scene, we are introduced to her immediate family, consisting of her mother, father and presumably her stepmother. This stepmother of hers is the classic, cruel, hateful stepmother who puts on a kind, civil front whilst in the presence of others; but, the moment backs are turned and important people are no longer present, she mistreats her non-biological daughter. 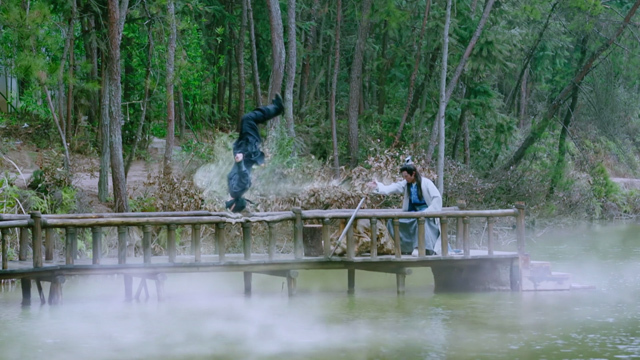 The escapades of Xiao Tan has Qu Tan’er punished with needles to the back. She is accused of breaking family rules and trying to steal the First Prince from her elder sister Pan'er. Qu Tan'er claims that she has done no such thing and her denial has her stepmother pushing her over to the ground from her kneeling position. 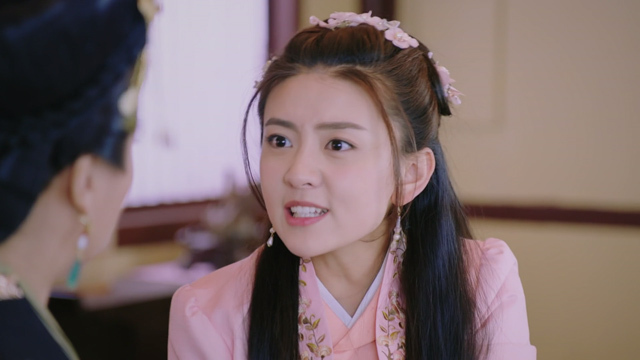 She faints before waking up as a feisty Xiao Tan, who gets right up to give her stepmother a piece of her mind. 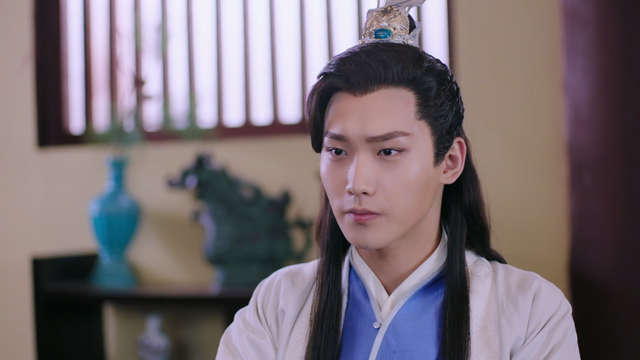 Yu Hao is standing outside, inconspicuously watching all of this upon orders by Mo Lian Cheng. The beating at the Qu house is reported back to him, but it gets no sympathy from him. 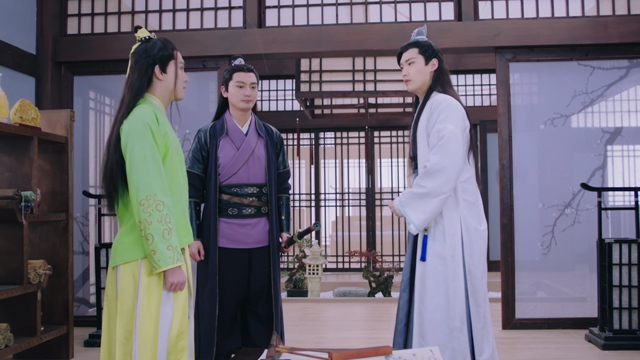 He takes the bullying (as well as Xiao Tan’s attempt to escape earlier) as some kind of trick or act meant to deceive him and serve the interests of the Qu family. He instructs Yu Hao to have Tan'er watched at all times. 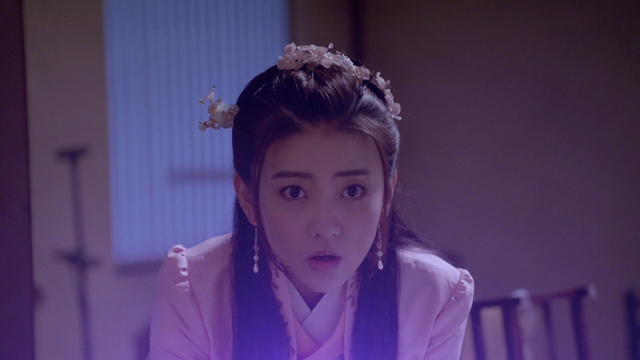 Closing the first episode, Xiao Tan is locked in her room, not permitted to leave until she finishes embroidering a pouch. Whilst locked in this room, a portal of sorts is discovered. Following the portal's discovery, a hooded man and woman enter the scene. They are seen chasing a couple of men before lifting them high up off the ground to strangle them to death. The man and woman cryptically discuss the appearance of something in Dong Yue that had disappeared 100 years ago. The appearance of the hooded man and woman following the portal's discovery appear as if it's a view inside the portal, but they might be separate scenes. However, it looks like the portal and the hooded people are related to Qu Tan’er’s dual personalities and the time-travelling. 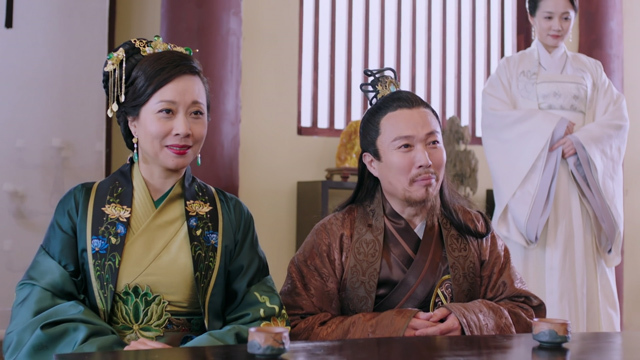 The final couple scenes has Qu Tan'er curious to see what is inside the portal. Her curiosity gets her pulled in and the next thing we see is her back in modern times running from what looks to be the same two hooded people who were seen strangling the two men in the previous scene. Blocked off in a dark alley, she takes refuge in an old abandoned house. After surveying the eerie surroundings for a few moments, her sight settles on some writing on a wooden partition citing the inability to get drunk despite drinking continuously nor remember despite reading the book many times. She is then knocked unconscious before the scene has her waking up on a bed. 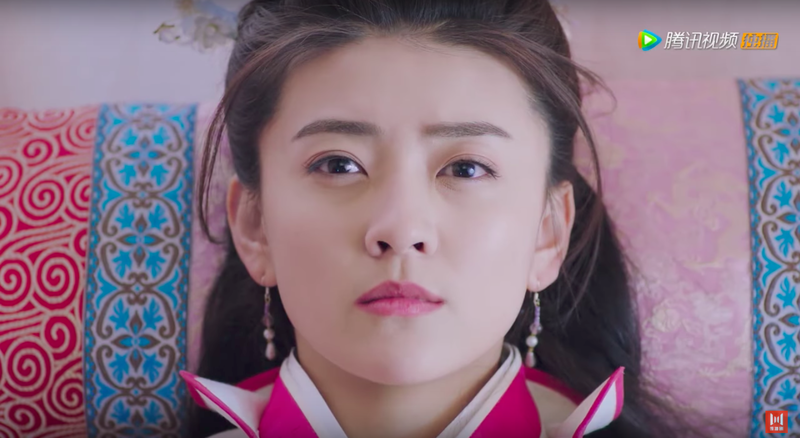 First Impressions: Dual personalities, female leads appearing not to be of the time they're in, the male lead being not at all interested in the female lead's original personality, it feels a little like Go Princess Go and Scarlet Heart. The romance portion of the drama feels like Go Princess Go while the main story feels like Scarlet Heart. 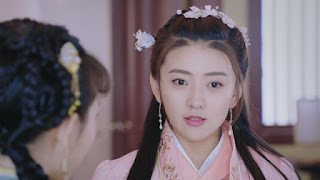 Unlike the two comparisons, though, the dual personalities in Qu Tan'er is more than a pass mention and it's looking like the contrast of personalities is set to create some good viewing pleasure as we watch her switch between her gentle and reserved personality and her bold and uncivilised one. Even without knowing what's in-store for the main story, the dual personality is already a pretty strong, albeit not uncommon, hook. Add the time-travel elements, the fight for what appears to be for the throne, or maybe it's just the gold Royal Order pendant, Mo Lian Cheng's hidden martial arts skills and the hooded people, there's quite a bit to wonder about and stick around for. It's a good start and a potentially good watch. i looove this drama, i started reading the novel a long time ago but had to give up because it asn't really getting translated and i'm not a fan of audio books if there is one?